The use of electronic cigarettes (e-cigarettes) is growing at a fast pace when people are trying to quit smoking of conventional cigarettes due to its health hazards. 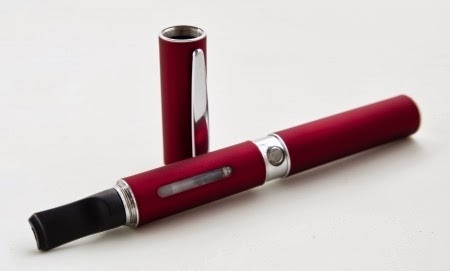 The most important thing about e-cigarettes is not to burn tobacco but the atomizer in the e-cigarette converts liquid (containing nicotine) into a vapor when the user blow in the air from one side while using it. Nicotine, flavor and other chemicals coming out from the vapor are essentially harmless as compared to the cancer-causing toxins in regular cigarette smoke. That is the major reason of the popularity of e-cigarettes. According to an article published on telegraph.co.uk, British American Tobacco PLC (BAT), the world’s 2nd biggest tobacco company, is planning to expand their market in United States and other European countries for their e-cigarette brand which is currently popularly known and sold as Vype e-cigarette in UK. According to Kingsley Wheaton, BAT’s director of corporate affairs, its quite natural for them to expand the market for their e-cig products when their company's annual reports revealed a fall in the volume sales of traditional cigarettes which they have been manufacturing for the addicted smokers. Wayne Marler of sparks-ecigs.co.uk, a small retailer of electronic cigarettes in UK, reported a significant increase of traffic on his online store after its launch just four months back. A little investment on the website itself and its marketing through PPC and SEO (search engine optimization) triggered the great online sales within just few months. According to him it wouldn’t have been possible if the product was not hot and not in demand. The different flavors of the e-liquid used in the e-cigarette are even catching the attention of non-regular smokers and specially kids and young people. So the response in the retail sector is also good while the manufacturers are trying to become global to expand further. Currently the e-cigarettes are sold in the market as an unlicensed product as still not regulated by UK government but according to an article published on nhs.uk it has been announced by Medicines and Healthcare Products Regulatory Agency (MHRA) that e-cigarettes would be licensed and regulated by the year 2006 as a replacement product for traditional cigarettes which is harmful to human health and causing deaths of its smokers in many cases. This is another great sign of a bright future regarding the sales and production of e-cigarettes on large scale and so a good news for the investors who want to invest in the business of electronic cigarettes whether it is retail, wholesale or the manufacturing. According to the article published on nhs.uk as mentioned above, MHRA is not going to put any restrictions on the use of e-cigarettes but expects a medicine license to be applied for, in order to carry out the business efficiently and in a legal way with more safety awareness. But we cannot even ignore the downside of e-cigarettes. According to a press release by cdc.gov (Centers for Disease Control and Prevention) the number of students in USA using e-cigarettes in the year 2011 became more than double in the year 2012 and CDC Director Tom Frieden showed concern for teens using e-cigarettes. Spread of the use of e-cigarettes among teens is alarming for the government as nicotine used in the e-cigarette is highly addictive drug and may even cause the reverse effect of increasing the number of smokers who may even take further to conventional cigarettes as well. So you never know where the world would ultimately end up as it’s unpredictable whether e-cigarettes would help people to quit smoke or it will increase the number of smokers who are just trying e-cigs for fun. So you need to invest carefully. About the Author: The post has been written by Rajesh Bihani.